Whether you are looking for a last minute weekend getaway or planning to attend one of the famous annual events in the area, Santa Fe, New Mexico, is an exciting vacation destination, filled with beautiful architecture, a diverse selection of art galleries, fantastic restaurants and fun activities. Take a cooking class, watch an opera performance and explore colorful art galleries while learning about the town’s rich cultural heritage. 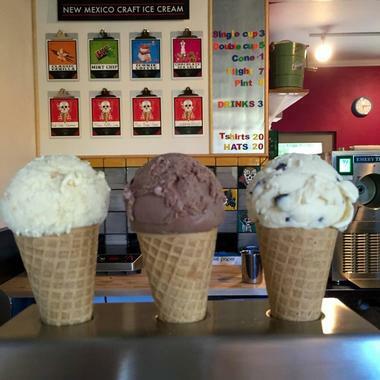 Here are the best things to do in Santa Fe, NM. 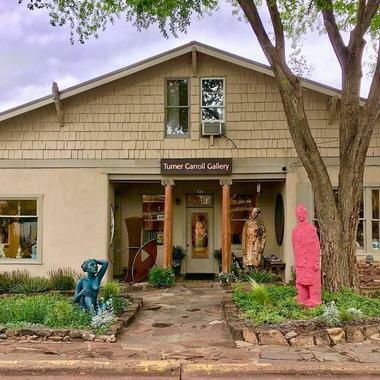 Nestled at the base of the Sangre de Cristo Mountains, Canyon Road is a picturesque trail showcasing the heritage of Santa Fe’s famous arts scene, with a fantastic selection of arts, crafts, shopping and cuisine to explore. 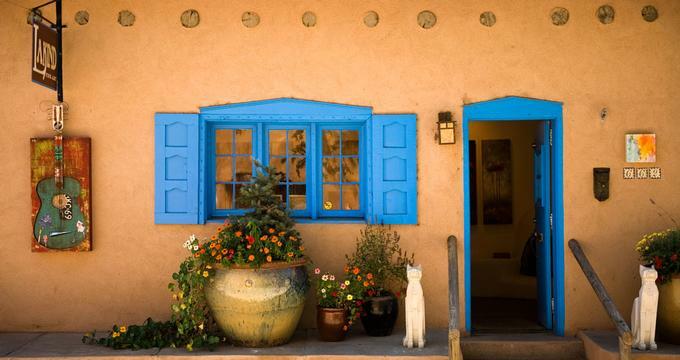 Traditional adobe architecture reflects old world charm along the half-mile route, which is home to over 100 galleries, artist’s studios, quirky clothing boutiques, stylish jewelry shops and handcrafted furniture stores. Art collectors will delight in the variety of genres, ranging from modern and abstract to figurative and Native American, displayed in the galleries along the way, as well as an array of other art, sculptures and graphics. 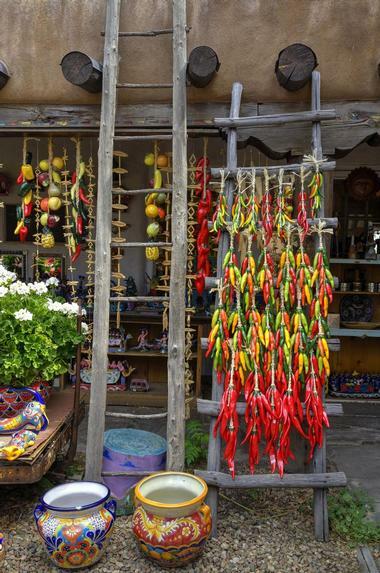 If you are wondering what to see in Santa Fe, New Mexico, Canyon Road is a great place to start exploring. Handmade gold jewelry and traditional Santa Fe silverwork glistens on display, while beautiful pieces of handcrafted furniture, Native American pottery, handwoven rugs and colorful Folk Art highlights the history of the region. 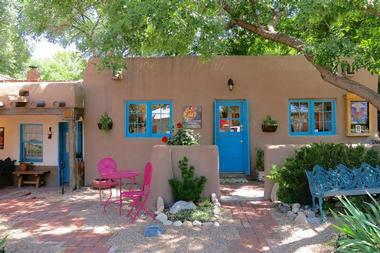 If you are wondering what to do in Santa Fe, Canyon Road is a great place to start exploring. A number of restaurants and cafés along the trail offer delicious local and international cuisine in elegant or casual settings, with beautiful views of the surrounding landscape. 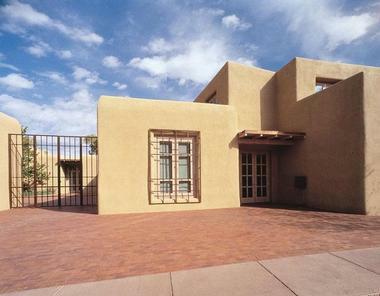 Formerly known as the Museum of Fine Arts, the New Mexico Museum of Art is the oldest art museum in New Mexico and showcases traditional, regional and contemporary artworks. 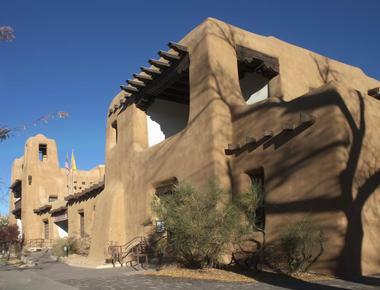 Designed in a traditional pueblo style, the building in which the museum is housed played an important role in the ‘Pueblo Spanish Revival’ style of architecture, for which Santa Fe is well known. Home to a permanent collection of over 20,000 works, the museum features works by Southwestern artists from the historic Taos and Santa Fe colonies, such as the Cinco Pintores collection, and the Taos Society of Artists, as well as new-age contemporary art from around the world. Contemporary collections include works by Gustave Baumann and Lucy Lippard, as well as well-known American photographer Jane Reeves and some Georgia O’Keeffe paintings. Located within the museum is the St. Francis Auditorium, which hosts a variety of cultural and musical organizations, including the Santa Fe Community Orchestra. Named after one of the most compelling artists of the 20th century, the Georgia O'Keeffe Museum is the only museum in the United States dedicated to the world-renowned female artist. The museum is home to the largest single collection of O'Keeffe's work in the world - over 1,000 works, including paintings, drawings, and sculptures dating from 1901 to 1984, until the artist began to lose her eyesight. O’Keeffe’s images are instantly recognizable in their large abstract forms. The museum also displays works of her famous contemporaries, such as Andy Warhol and Jackson Pollock, as well as by living artists of distinction, and has a world-renowned Museum Research Center that is the only research facility in the world dedicated to the study of the American Modernism movement. Founded in 1937 by Mary Cabot Wheelwright and Navajo medicine man, Hastin Klah, the Wheelwright Museum of the American Indian is devoted to showcasing contemporary and historic Native American art. The museum maintains a variety of important collections relating to the Native American Navajo and other tribes of the Southwest, as well as exhibitions of contemporary and traditional Native American arts, featuring celebrated artists. The museum has also achieved a reputation for showcasing new and little known artists through vibrant, creative and expressive displays of art works and other Navajo traditions such as beadwork, basketry, weaving and embroidery. 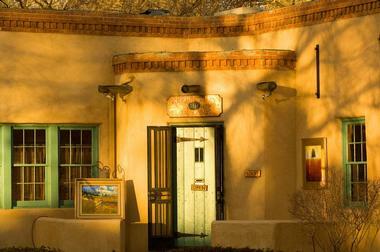 Turning 75 this year, the museum is the oldest private, non-profit museum in New Mexico. Established in the late 1960s by a small group of farmers, the Santa Fe Farmers Market now represents over 150 vendors and is New Mexico’s largest farmers’ market. Operating year-round on Saturdays due to the demand for fresh, local produce, the market offers an incredible variety of agricultural products, from farm-fresh produce and nursery plants to handcrafted items and baked goods. If you are wondering what to do in Santa Fe on a Saturday morning, this is a great place to soak up the local vibe. 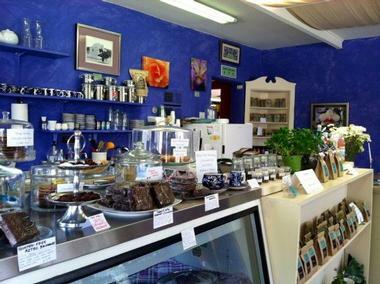 All of the products at the market are grown or made in New Mexico. Since reselling is not allowed, all the products are grown or made by the vendors selling them, supporting sustainable farming and the local surrounding communities. If you are looking for things to do in Santa Fe with kids, this is a great place to visit. Santa Fe International New Media Festival is an annual media festival that takes place in Santa Fe that unites and celebrates both established and emerging artists from all over the world. The festival showcases artists’ works through a variety of mediums, including exhibitions, presentations, panels and workshops, and multi-media performances, all of which are free to the public to enjoy. Historically renowned for being a destination for the arts and technology, as well as its exceptional environmental beauty, New Mexico has fast become a popular gathering place for new media artists from around the globe to join forces and work towards the development and enhancement of art, science and technology. Taking place during the second week in August, the Santa Fe Indian Market is a Native art market and cultural celebration held in Santa Fe each year. Produced by the Southwestern Association for Indian Arts (SWAIA), the market has been running for 93 years and is the largest cultural event in the Southwest. Held each year in August, over a thousand Native artists come to Santa Fe to display their works in a week-long celebration of Native arts and crafts. The market draws visitors from all over the world to view and purchase the art, as well as learn about contemporary Indian arts and cultures. The market is preceded by Indian Market Week, which is a series of events that focus on the rich heritage and culture of the Native American people, and features Native film, music, literature, fashion and visual art. Kakawa (meaning cacao or chocolate) Chocolate House is an artisanal chocolate company in Santa Fe that produces and sells exquisite handmade chocolates, rich drinking chocolate elixirs, and homemade ice cream. Drawing inspiration from chocolate’s long history, Kakawa fuses original Mesoamerican and Colonial chocolate recipes with fresh, seasonal ingredients to recreate new and innovative delights, including one-of-a-kind truffles and dark chocolates, rich drinking chocolate elixirs, regional agave caramels, and melt-in-your-mouth homemade ice cream. The chocolate aficionados boast a variety of contemporary flavors, such as Cherry-Chili and Acai, Pomegranate, Hibiscus flower, and Mescal, as well as an array of classic European-style truffles, such as Earl Grey, Espresso, and Classic French Dark. If you are looking for things to do in Santa Fe NM with kids, this is a great stop. 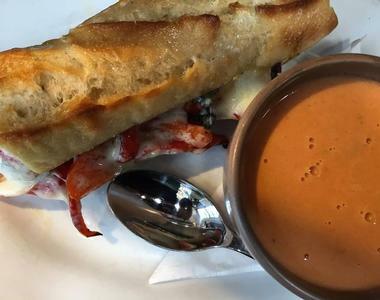 Perfectly located on the rooftop of the Santa Fe Arcade shopping center above the bustling streets of Santa Fe, Rooftop Pizzeria is an ideal spot to catch the sunset over delicious gourmet pizzas, homemade pastas and a mouth-watering array of antipasti and salads. Delicious antipasti such as smoked duck drizzled with balsamic and sesame vinaigrette and topped with roasted red pepper cream cheese or oven-baked prosciutto and stuffed Crimini mushrooms with melted mozzarella make the perfect start to a main course of Lobster Linguini or gourmet pizza with artichoke hearts, Kalamata olives and goats cheese. 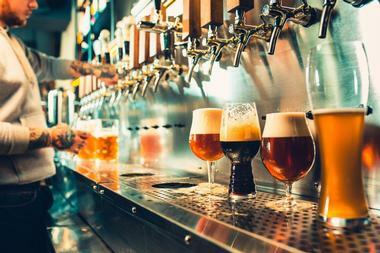 Wine is served by the glass or the bottle, of which there is an extensive menu of both local and international vintages, as well as bottled beer, ciders, and beer-on-tap. Located just west of Santa Fe’s historical downtown district and surrounded by magnificent panoramic views of the Sangre de Cristos, Sandia, Ortiz and Jemez mountains, Marty Sanchez Links de Santa Fe offers a fantastic golf experience. Designed by master landscape architect Baxter Spann, the 18-hole championship golf course and executive par 3 course called ‘The Great 28’ has received several awards. Designed by Alexander Girard and headed up by Executive Chef, Mark Kiffin, the Compound Restaurant has become one of the region's ‘go-to’ eateries for its distinctive style, elegant charm, and outstanding cuisine. Embracing the restaurant's rich heritage and regional influences, Kiffin celebrates these factors in his menu, which consists of an award-winning mix of Southwestern ingredients and New World flavors in dishes, such as braised pork-filled ravioli tossed in a Parmesan cream and black truffle sauce. Adorned with classic folk art and exuding a laid-back, distinctly ‘Santa Fe feel’, the restaurants has since been the recipient of many awards and continues to be one of the town’s most popular eateries. Open all year round, The Compound Restaurant serves lunch and dinner from Monday to Saturday. Meaning ‘hello’ in Swahili, Jambo Café is an effusive mix of award-winning African-Arabic inspired cuisine served in a laid-back, relaxed atmosphere, and warm and welcoming hospitality from owner-chef Ahmed Obo. Hailing from the tiny island of Lamu, off the coast of Kenya, Obo draws inspiration from his deep African roots and his mother’s aromatic kitchen, where he learnt everything he knows, to produce his very own exotic fusion of Swahili fare. Exuding aromatic spices, scents, flavors from around the world, with rich Arabic, Indian and European influences, Obo’s mouth-watering fare draws visitors from afar to dine on his unique dishes in a distinctly African ambiance. Tuck into fragrant, cinnamon-dusted plantains, spicy chicken curry or goat stew, or coconut-peanut kebabs surrounded by warm ochre walls adorned with paintings of lions on the Serengeti. Boasting the best Red Chile, Green Chile and chilled Margaritas, Tomasitas is one of Santa Fe’s oldest restaurants, serving classic northern New Mexican cuisine for over 40 years. 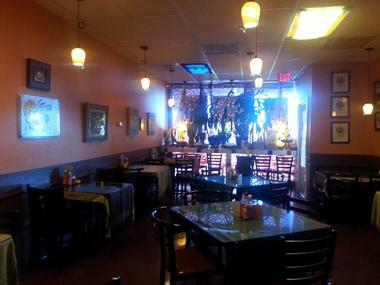 Located in the century-old brick building that was once home to the famous Chile Line, Tomasitas is owned by the Maryol/Gundrey family whose passion for New Mexico and its regional flavors shines through the restaurant’s warm and welcoming ambiance and heavenly menu. Casual and relaxed, high ceilings and worn wooden floors feature a station-like spaciousness with cozy booths, round tables and paper napkins. Live mariachi music accompanies the great food and long list of margaritas on Tuesday nights and food is served in authentic red or green ceramic bowls. Don’t visit without trying Sopaipillas, “The Bowl,” chicken enchiladas with egg, and anything “Christmas”. The Santa Fe Opera (SFO) is an American-owned opera company that features a wide range of operatic repertoires, and hosts popular cultural festivals each summer. Established in 1956 by founding director John Crosby, the Opera Association of New Mexico began to present operas from its newly built Santa Fe Opera House and has since staged numerous American and international premieres, with several new operas in commission. Commanding breath-taking vistas of the surrounding mountains, the state-of-the-art, open-air Crosby Theater is a modern fusion of traditional materials with contemporary style, a fine example of an award-winning architectural design. The theater is surrounded by 155 acres of beautifully manicured campus grounds, also home to the Stieren Orchestra Hall. If you are looking for romantic things to do in Santa Fe in the evening, the Santa Fe Opera is a great place to go. Experience the magnificent New Mexican night sky with a stargazing tour with Astronomy Adventures. Enjoying its second decade of star-spotting, Astronomy Adventures offers educational and entertaining guided night sky tours. Experience the breath-taking grandeur of twinkling stars on a pitch-black canvas without the interruption of city lights. Tours are led by a friendly, professional guide, who uses a large Newtonian reflector telescope to highlight interesting objects in the night sky and help make sense of what is being seen. With a diameter of 20 inches (.51 meter), this extremely powerful telescope can show impressive amounts of detail on the moon and surrounding planets, as well as galaxies, nebulae and star clusters. Tours are offered throughout the year at the Astronomy Adventures dark site, which is a short drive from Santa Fe. If you are looking for fun family things to do in Santa Fe, this is a great activity. Your own transport is required. The Santa Fe Independent Film Festival was established in 2008 to advance innovative, independent, and cutting-edge cinema. For five days, the diverse community of Santa Fe, New Mexico, becomes a mecca for cinephiles and filmmakers and is the most attended area film festival. The festival promotes both emerging and established filmmakers by showcasing their feature and short films in the relaxed and unassuming atmosphere of downtown Santa Fe. Artists can meet their peers and fans every night at a different venue, enjoy the festival atmosphere, and form professional connections. 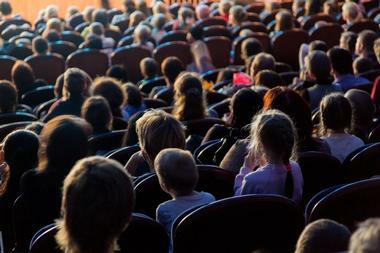 Santa Fe has become one of the world’s biggest theater cities, with the 11-screen Violet Crown, the historic Lensic Theater, George R. R. Martin’s Jean Cocteau Cinema, the Center for Contemporary Arts, and The Screen. Food-lovers, aficionados and gourmands will delight in the offerings at the Santa Fe School of Cooking, where you can experience Santa Fe's rich culinary traditions, learn the techniques of master chefs, and of course taste the town’s unique mouth-watering cuisine. The school offers a range of culinary-based experiences, including regular cooking classes, demonstration classes by professional and award-winning chefs, hands-on classes and specialty classes, which focus on cuisine from a certain region. 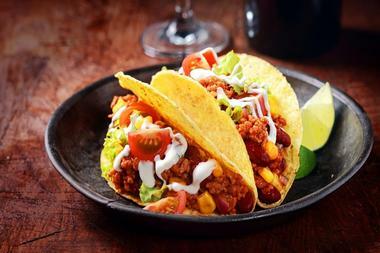 Enjoy fantastic Restaurant Walking Tours, where, under the expert guidance of one of the school’s knowledgeable staff, you take a leisurely stroll to the restaurant of your choice to watch the chef prepare the delectable dishes you will be served for lunch or dinner before dining in style. The school has partnered with some of the best restaurants in Santa Fe to offer these unforgettable culinary journeys. 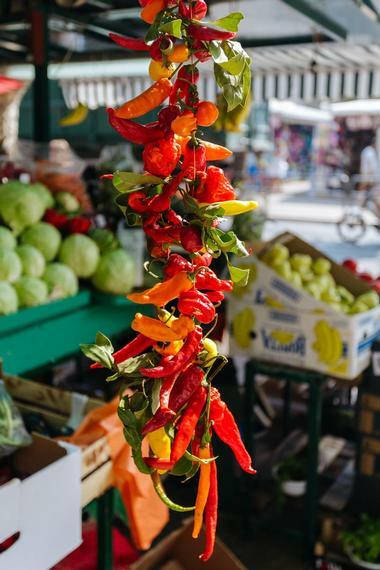 You can also enjoy a Shop Walking Tour, where you can learn about local products and other appetizing treats before purchasing them for your own kitchen. Turner Carroll Gallery is a world-class art gallery that was originally opened in 1991 by Tonya Turner Carroll and Michael E.S. Carroll, experienced art connoisseurs and gallery operators. The gallery focuses on international contemporary art pieces by established artists with museum resumes, including Robert Rauschenberg, Mavis McClure, Deborah Oropallo, Wanxin Zhang, and Fausto Fernandez. Many artists have been showcased at top museums around the world, including the Metropolitan Museum of Art and the Vatican Museum. Diverse works from around the world are highlighted, including important collections of pieces from Romania, Ireland, and Mexico. New exhibits are showcased monthly, with special events hosted periodically, including cocktail tastings, exhibition openings, and holiday events. Enjoy an exhilarating white-water rafting adventure on the Rio Grande River with Kokopelli Rafting Adventures. Whether you are looking for a challenging adrenalin fix or a relaxing amble down the river, Kokopelli has a variety of trips to suit every taste. The Racecourse: Kokopelli’s most popular rafting trip, the Racecourse is ideal for both beginners and experienced rafters, with tours ranging from a wild Class III+ ride during the high water levels of the spring, to a more challenging run as the water recedes in during the months of July and August. The tour takes you through a magnificent basalt gorge near the historic site of the Pueblo revolt of 1854. This fantastic trip also offers the opportunity for boat surfing and swimming along the way. 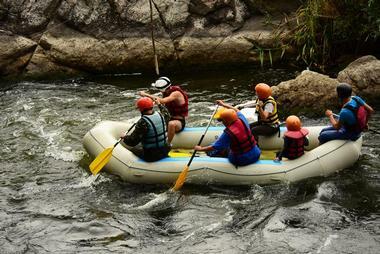 Rio Grande Float: For a mellow meander, the Rio Grande Float trip is ideal. Float past rolling hillsides and rugged rock canyons in an oar-powered raft or paddleboat, where you can relax and soak up the beautiful natural scenery floating past. The Santa Fe Climbing Center is a state-of-the art indoor climbing gym in Northern New Mexico that offers a variety of climbing rooms and a selection of routes and challenges for all levels of climber. Established in 1989, the climbing center is the only indoor center for climbers in the region and not only offers world-class indoor rock climbing and indoor climbing classes, but professional guiding for outdoor climbing adventures and solo or group climbs as well. It is also home to a climbing gear shop where gear can be hired, climbing video rentals, and friendly, expert advice exchanged. The club boasts a large bouldering room, as well as a top-rope and lead climbing room with a variety of climbing routes and caters for a variety of events, such as family days, birthday parties, after-school sessions and summer camps.